“Super 30” One Man’s vision builds aspirations for the lower-income students to walk the IIT path. Entering the Indian Institutes of Technology (IITs) is a very difficult process. Students are required to take a rigorous exam. In this test, they demonstrate their skills and abilities. For low-income students, admission to IIT is especially difficult. The asymmetries between upper-middle-class families and poor families are manifested in the profound differences in the quality of education and in the results obtained in admission tests. 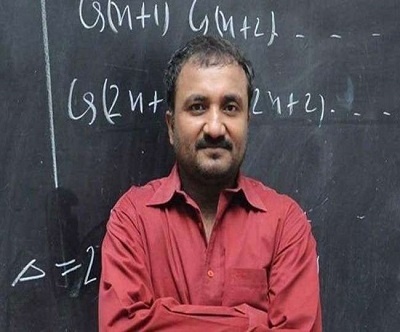 Mathematician Anand Kumar offers a response to this situation in what he has called the Super 30 Program. The Super 30 Program was founded in Patna India in 2002. The program takes place at the headquarters of the Ramanujan School of Mathematics (RSM) headed by Professor Anand Kumar. This innovative tutoring program convenes low-income students to take the selection test during the month of May each year. The top 30 students enter the select group of Super 30. The selected students spend one year as scholars under the tutelage of Professor Kumar. During that year the students are provided with food, lodging, and an intensive academic levelling program. The record of the Super 30 admitted to the IITs reaches 391 students. Surprisingly, the first three years of the program registered 100% admission to the IITs. In subsequent years the figure has remained above the 28 admissions per year, with the exception of 2012 with 24 admissions and 2015 with 25 admissions. Low-income students who enter the Super 30 make a qualitative leap in their levels of academic competitiveness. Professor Kumar understands that talent is not enough; it is necessary to reduce asymmetries in access to knowledge. This is achieved by offering integral attention to the young aspirants, who should only focus on their preparation for the IIT entrance test. In this way, when presenting the entrance exams to the IITs the Super 30 student is in optimal levels of academic competitiveness. Professor Anand Kumar knew from an early age the difficulties faced by an Indian student of humble origin. During his training at Patna Secondary School, his family went through severe economic hardship. After graduating from high school, he entered the University of Cambridge. The dream of graduating from Cambridge was dashed when his father died and the young Anand left the University for lack of financial resources. Professor Kumar's harsh experience as a student allowed him to understand that it was necessary to rethink the approach to education for low-income students. Schools exist, knowledge exists but the gap in access to knowledge widens in the same proportion as poverty increases. "For a talented student to develop his abilities, they need the conditions necessary to cultivate their skills," says Mr. Kumar. The high admissions rate of the Super 30 at the IITs earned the program a solid reputation. Its fame crossed the border of India and is known all over the world. In 2009 Discovery Channel dedicated a special program to the Super 30, showing the origins of the program and its essence. The broadcast of the documentary catapulted Professor Kumar as the leader of an academic program with high social impact in Asia. The success of the program attracted the attention of public and private entities that offered to fund to the Ramanujan School of Mathematics for the expansion of the program. However, Professor Kumar refuses to receive external funding, as the RSM Institute generates the necessary resources to fund his initiative. Professor Kumar has become an iconic figure in academia worldwide. He has been recognized by various institutions and personalities including President Barack Obama who sent his recognition to the program through Mr. Rashad Hussain, who was the special US envoy to the 2010 Organisation of the Islamic Conference. The list of recognitions and awards obtained by the Super 30 Program is very extensive. Each year a multitude of institutions invite Professor Kumar as a motivational speaker, lecturer and Emeritus Professor. There is an international consensus on the need to replicate the program in other countries. The success of the Super 30 was measured over a long period of time by the rate of admission to IITs. The goal of the program is for low-income students, tutored by Professor Kumar, to pass the admission exam to enter the IIT. Since its foundation, this objective has been more than 90% successful. Moreover, Super 30 scholarship holders perform high-grade work after graduation from IIT. This is a demonstration of the scope of this initiative. There are scientists working in India, Europe and the USA who achieved their professional goals thanks to the Super 30. 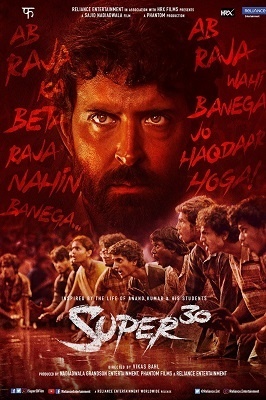 The impact of the program is so significant that its story appears in the movie "Super 30", produced by Phantom Films, Nadiadwala Grandson Entertainment and Reliance Entertainment, and directed by Vikas Bahl. The film's release is scheduled for 2019.